In 2009, the American University in Beirut’s new student center was recognized as one of the American Institute of Architects’ Top Ten Green Buildings, the most prestigious profesional award for sustainability in the United States and one that is rarely awarded to international projects in the Middle East. 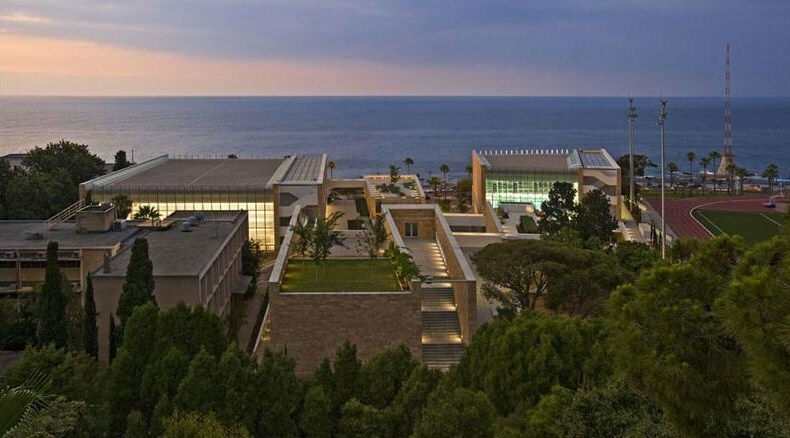 The new student center is situated within the 73-acre campus of the American University in Beirut (AUB) and is named after Charles Hostler, the former US Ambassador and an AUB Alum. The student center is sited at the foot of a steep hill overlooking the Mediterranean sea and extends down to the Beirut Corniche, the capital’s grand waterfront boulevard (Image 1). The $30 million project was designed by the Minneapolis based VJAA together with the Lebanon based Samir Khairallah & Partners. The Stuttgart based Transsolar and the San Francisco based Hargreaves were part of the design team as environmental consultants, and Landscape designers, respectively.